Want to watch Netflix on your Linux device, but not sure how? Over the years it has proven tricky to enjoy movies and TV from your Netflix account on Linux. When Netflix relied on the Microsoft Silverlight software, it was almost impossible. These days, since Netflix abandoned the limits of Microsoft’s proprietary Flash-like plugin, it has become far easier to enjoy Netflix on Linux. 1. Enjoy Netflix the Easy Way: Open it in Chrome! For the overwhelming majority of readers, Linux no longer has a problem running Netflix. If your distribution comes with Google Chrome, then all you need to do is open Chrome, navigate to Netflix and start enjoying the movies and TV shows in their library. 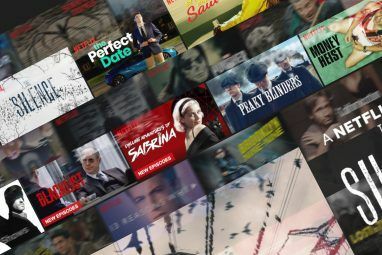 It’s really that easy How to Watch Netflix Natively on Linux - the Easy Way How to Watch Netflix Natively on Linux - the Easy Way Using Netflix on Linux has been simplified considerably in the past few months. With the right browser, you can enjoy your favorite shows and movies from the popular streaming subscription service on your Linux device. Read More ! But do you want to use Chrome? If so, you’re fine, but if not — because of a completely reasonable preference for free and open source software — then this fix is not for you. Yet it makes sense. Netflix uses HTML 5 and Silverlight to stream movies, depending on your operating system and the capabilities of your browser. Recent versions of Chrome (37 or later) will rely on HTML 5, which saves having to mess around with plugins. Although HTML 5 is the preference for Netflix, some devices and browsers don’t support it. As a result, Silverlight 4 and 5 are still used. While Silverlight won’t run on Linux, there have been several attempts to replicate it. The most popular of these solutions is Pipelight. You should find that this can be installed in Ubuntu and Fedora. You’re now set to enjoy Netflix via the Mozilla Firefox browser! Your third option is to create a virtual machine running Windows How to Set Up a Windows Virtual Machine in Linux How to Set Up a Windows Virtual Machine in Linux Many home users prefer to run a dual-boot setup when both Windows and Linux are needed, but if you'd rather run Windows inside Linux, here's how to set that up. Read More . A virtual machine is essentially a software environment that can be used to install an operating system (OS) in. As a result, you can install any other OS within your current one. Often, Windows users might install Linux as a virtual machine, or even a macOS virtual machine How to Run macOS on Windows 10 in a Virtual Machine How to Run macOS on Windows 10 in a Virtual Machine The best way to try a new operating system is with a virtual machine installed on your existing OS. Here's how to run macOS Sierra on Windows 10 (i.e. create a virtual Hackintosh). Read More ! You can take the same idea, but switch it around, and run Windows in Linux. This straightforward solution can be employed with any version of Windows from Windows 7 to Windows 10. It may also work with XP and Vista, but for security reasons Windows XP Security Risks: They're Real And Heading Your Way In 2014 Windows XP Security Risks: They're Real And Heading Your Way In 2014 Given the extensive coverage, you could easily think Windows XP end of support was just a hype. Sadly not. Without security updates, the aging operating system becomes a Trojan horse in your home or business. Read More we advise against this. Even virtual machines are prone to security risks! Once it’s set up, boot the virtual machine, open the web browser, and navigate to the Netflix website. Then simply sign in, and enjoy your favorite shows! Your fourth option is to employ the Widevine plugin, which is available for both Chromium and Firefox. Unlike Pipelight, this is a HTML 5 video player What Is HTML5, And How Does It Change The Way I Browse? [MakeUseOf Explains] What Is HTML5, And How Does It Change The Way I Browse? [MakeUseOf Explains] Over the past few years, you may have heard the term HTML5 every once in a while. Whether you know anything about web development or not, the concept can be somewhat nebulous and confusing. Obviously,... Read More , and has been developed by Google. Although released specifically for Google Chrome, Pipelight has been modified to run in Chromium and Firefox. It should run with Vivaldi, too, but this Opera spin-off is not open source. However, Widevine is unsupported beyond Chrome. Additionally, updates to Netflix may result in the plugin no longer working, making the whole process a waste of time. Other plugins are available for Chromium that can run on ARM versions of Linux, such as Raspbian Jessie 5 Ways New Raspbian Jessie Makes Raspberry Pi Even Easier to Use 5 Ways New Raspbian Jessie Makes Raspberry Pi Even Easier to Use Following the release of Debian Jessie in July, the Raspberry Pi community has been blessed with a new release of the Raspbian variant, based on the "parent" distro. Read More on the Raspberry Pi. This quite simply means that you can now watch Netflix on the Pi. Again, this is thanks to the Widevine plugin, but you’ll need a very particular build of Chromium for this to work. Once this has completed, you should be able to find Netflix-Launcher in the Internet menu. Click this to open the site in a dedicated Chromium window and enjoy. Although you should now be able to enjoy Netflix streaming on your Raspberry Pi, keep it lightweight. Avoid HD streams if you want reliable performance. If you’re still struggling, consider a User Agent switching plugin for your browser (for Firefox [No Longer Available] and for Chrome). This will trick Netflix into thinking you’re on Windows, macOS or Chrome OS. It shouldn’t still be necessary, but we’ve heard of a few users still using this trick. Netflix is becoming more widely available on Linux these days, thanks in part to the Raspberry Pi and its use as a media center Install Kodi to Turn Your Raspberry Pi Into a Home Media Center Install Kodi to Turn Your Raspberry Pi Into a Home Media Center If you have a Raspberry Pi, you can turn it into a cheap but effective home media center just by installing Kodi. Read More . But it goes beyond this. Linux developers fed up with being held back by proprietary software have worked hard to find replacements for Silverlight. Whether you prefer the plugin solution, the virtual machine, or simply using Google Chrome to view Netflix, your action is vindication of their hard work, directly or otherwise. There’s no reason for Linux to be left behind by browser-based content providers any more. Let’s hope Netflix takes Linux seriously in future, as more solutions are likely to appear if not. 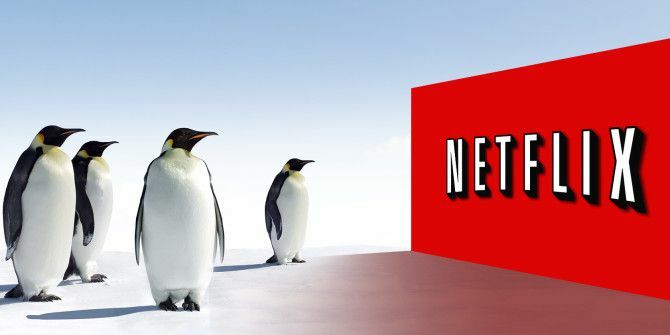 The grim days of struggling to play Netflix on your Linux PC are long since gone, as these five tricks show. You can even enjoy Netflix on your Raspberry Pi 3! But which method works best for you? Tell us in the comments. Explore more about: Linux Tweaks, Microsoft Silverlight, Netflix. I was not happy with chrome (performance) on my Celeron Notebook, and with all the lightweight browsers, streaming netflix wasn't possible. But I found the 6th method, which is much simpler for me: Install the App Webcatalog and with it the Netflix app. Now I can stream Netflix on my Deepin Linux without Chrome or Firefox and streaming with the app is more comfortable. Simplest to just use Chrome in Linux. Even for those distros that only have the open-source Chromium, it's easy enough (if you're not fazed by 'digging around' in the file system) to manually add the WideVine modules (libwidevinecdm.so & libwidevinecdmadapter.so) to Chromium yourself. Even the SlimJet and Iron browsers (both Chromium 'clones') support NetFlix these days. SlimJet has both modules supplied OOTB, but you need to add an upgraded libffmpeg to get it working. Iron has libwidevinecdmadapter.so, with instructions on the SRWare forums to 'borrow' the libwidevinecdm.so module from a contemporary version of Chrome itself. I run all four in Puppy Linux; Chrome, Chromium, SlimJet AND Iron, since I 'beta-test' them, prior to producing packages for fellow Puppians.....and it's quite possible to switch from one browser to another, and keep on watching the same episode of whatever you're in the middle of. Hi! I'm a total novice to Linux, so this might be a silly problem. I type in the first command line (sudo add-apt-repository ppa:pipelight/stable) and I get the response "command not found". What's the problem? I have Debian. As far as I was aware, Debian doesn't support PPA's. You should use Ubuntu or derivatives like Linux Mint for this. As far as I was aware, Debian doesn't support PPA's but Ubuntu and it's derivatives (like Linux Mint) does. I had Linux Mint 17.2 and installed everything just fine. It worked for probably at least a year. It was working this summer. But sometime since then and around Thanksgiving it stopped working and started saying that I need to install Silverlight. I followed each of the steps to reinstall but Netflix continues to say I need to install Silverlight. I have upgraded to Mint 18 and am still having the same issue. Any ideas on how to resolve? While putzing around I figured it out. I looked the article over and re-read where it said that it seemed to like the user agent set to "Firefox 15 Windows". I looked at my User Agent string and it was set to 36.04. I changed it to 15 and got a new error at Netflix telling me what OS's and browsers were approved. I then changed the user agent string to my actual version of Firefox, 50.0.2 and now Netflix is working again. I guess I got an update to the user agent and it changed the string and that's why it broke. Hope this helps others. Is there a way to test via terminal to see if Silverlight is working on my machine? When I try the install step, I get a EULA box but it just says "ok" in text, no "ok" button to allow me to proceed. I am watching on chrome in ubuntu. that is fine but i wanted to try the opera developer browser (v39) - and i just cant get it to work. I wonder if there is a way to get opera to use the codex or player that chrome uses? opera is based on chromium, which doesnt natively play netflix - but chrome browser, the propriatal version of the browser, does play it natively. Opera won't play NetFlix even with the WideVine modules installed for one simple reason; because Opera doesn't have the h264 codec included in the build.....and that's needed for WideVine to work correctly. Sorry, your browser does not support Microsoft Silverlight. Take a look at our supported device list for all the ways that you can watch NOW TV. Sadly, I'm not surprised. Does anyone know a workaround? Thanks for this! After following your instructions plus doing `sudo pipelight-plugin –create-mozilla-plugins` and restarting Firefox, it worked (Ubuntu 14.04 TLS)! The end result picture shows Netflix open in Google Chrome, not Firefox. Firefox was unable to play Netflix following the steps you provided. The good news is that installation was flawless on 64-bit Ubuntu 14.04, the Silverlight plugin appears in the Firefox add-ons list and it works perfectly for sites other than Netflix. The bad news is that Netflix doesn't work in Firefox with either User Agent Switcher or Overrider, so I tried Chromium. However, the plugin installation itself does nothing to Chromium (39) in the first place, so I am back at square one. It works with kubuntu 14.04 amd64 with firefox. I am running 64 bit ubuntu and I get a screen that says "Install the Microsoft Silverlight plug-in now — it only takes a minute" . Unfortunately this is a windows exe file and I can't launch it. The Ubuntu instructions worked for my Mint16 distro. Thanks so much! It works. I still don't understand why Netflix doesn't natively support it but at least there seems to be a stable fix. User Agent Switcher doesn't seem to be working with Firefox (for me like others) but User Agent Override works perfect. Works in Ubuntu 14.04 LTS; Firefox 30.0 for Ubuntu canonical 1.0 using User-Agent-Overrider set at Windows/Firefox 29. ...and then continued with the User-Agent_overrider installation and config in the GUI with Firefox. Note: pluginload and wineserver use a fair bit of CPU resources--like all of it--and compiz is also showing increased CPU use (reference: top). This is on an AMD Athlon II X2 220 dual-core, Nvidia 6150SE and 4GiB RAM in an eMachines box somebody gave me that I refurbed. Thanks for the article. It was very useful. For the purpose of watching Netflix videos, the pipelight workaround still doesn't work. I got everything installed, put in a user switch agent and bam, tells me to install Silverlight. Safari for Mac OS X already has an HTML 5 player so a mainstream one is in the works. Till then I think the Netflix desktop app will have to do. Netflix is easily added to Linux Lite automatically just by selecting a number in the "install additional software" section and also comes in LXLE as a browser tab. I am having trouble with multiple monitor use so am still poking around for the perfect operating system. What fun we have. Note, I am going to assume that the Silverlight plugin is ns-based. The Chromium project has removed support for the ns infrastructure as of build 35+. So in effect, this breaks the project in Chrome. This worked for me on Linux Mint 17 Cinnamon. I used User Agent Overider. The --system-check failed on missing libraries but Netflix still worked. The only issue I have is overheating which is purely a hardware issue with HP dv5 laptops. This broke my Mint 17 Firefox setup. Had to remove everthing, and re-install Firefox. Users considering this fix who are not very comfortable with Linux and their browsers will probably get stuck very quickly if things don't work swimmingly the first time. And even those who are successful will be sweating every OS, browser, Pipelight and/or Netflix change. Although the move toward HTML5 is probably a good one from the pragmatic standpoint, I think there are enough major providers out there to tell Hollywood to pack sand with their DRM requirements and ridiculous demands from the very people driving most of their business. If Internet providers could take some short-term losses, the "picture" would be clear in pretty short order. Hollywood & the RIAA NEED companies like Google/YouTube, Netflix, Pandora, Facebook and even Microsoft WAY more than the reverse. If there were a consensus against the madness of DRM and copyright maximalism, most of this crap would go away. Again, thanks for posting this. It was fun testing this. I get a playback error N8109, which is a silverlight problem. I don't know enough about Linux to fix this. There's probably something I missed. I was having issues with a different silverlight only website which was forcing me to use a vm to acccess. This here set of instructions did the bom diggity trick. Well Done! it still doesn't work. no matter what i install silverlight will not run. pipelight doesn't show up as a plugin, and it just will not load. says it install but when i did system check it said "FAILURE"
Can anyone tell me if captions work under this pipelight solution? I've been trying to get MSN Money Portfolio Manager to work forever. Moonlight never did it. This does it. My very sincere thanks. Used User Agent Overrider. Works brilliantly, thank you! Oops, sorry, I used Firefox 15/Windows: Mozilla/5.0 (Windows NT 6.1; WOW64; rv:15.0) Gecko/20100101 Firefox/15.0 just replacing 24 with 15. I used Firefox 24/Windows: Mozilla/5.0 (Windows NT 6.1; WOW64; rv:24.0) Gecko/20100101 Firefox/24.0 and it worked in Firefox. What is the user agent string for "Firefox 15 Windows"? I used "Mozilla/5.0 (Windows; U; Windows NT 5.1; rv:15.0) Gecko/20121011 Firefox/15.0.1" which I got at [Broken Link Removed] p but it didn't work for me on Firefox or Chrome. I am on linux mint petra and ff 29; set user agent overrider to windows/ff29. Is there any way to make this work on Raspbian? I tried to follow the Debian instructions but it failed after I added your repository to the /etc/apt-sources.list (which on the pi is /etc/apt/sources.list) and tried to run apt-get update, it said something about an invalid /etc/apt/sources.list file. Working superbly for me on Ubunt 14.04 and Firefox. I used “User Agent Overrider” extension instead of “User Agent Switcher" and selected WIndows-Firefox26. Thanks!! yes, "User Agent Overrider" works perfectly. DO NOT USE "User Agent Switcher" for Ubuntu 14.04.
they're tight, it works perfectly with firefox and "user agent overrider" but with chrome that's another story. pipelight pdoesn't work with chrome beta :'( only the stable version. Anyone know why this is? After a couple hours of frustration this tutorial worked! Whatever agent you listed wasnt in the drop down menu so I picked the nearest one which was windows/firefox26 and it worked perfectly. Thanks a ton. Follow tuporial. Use firefox/agentoverrider. goto netflocks. Get message to enable siverlight. Click it. Works. Thanks all. It worked., I watched one episode, and now it no longer works. Uninstalling pipelight and reinstalling and reenabling does nothing. It just always shoes me, repeatedly, this little dialog about installing. It flashes on the screen for a split second, goes away, flashes again, never runs. another bit of info, on Fedora 20, "User Agent Switcher" was not working! Using instead the extension "Agent Override" it works ! I finally got netflix to work for me in Kubuntu with the following user agent: "Mozilla/5.0 (Windows NT 5.1; rv:31.0) Gecko/20100101 Firefox/31.0" - Hope that helps! Pipelight is included in the new R4W Debian based replacement for windows release. It uses a different user agent alternative and it's pre-set so I didn't have to play around with getting it to work right. The User Agent Switcher in the article just left me with a black screen, which turned out to be user agent related. If you are getting a black screen or it gives you an ambiguious failure messsage, try a different user agent switcher. Exact same issue as TrIPpY. Can watch a test silverlight video but in Netflix I only see a black page. Using Linux Mint and I have tried user agent switching in both Chrome and FF. I thought I was so close. Great guide . Using the user agent switcher to Firefox 15.0a1 (Win 7 64) and silverlight test on microsoft site says version 5.xxxxxxxxxx. But if click a movie i just see a black page. What might this be? I get the ActiveX error from both Firefox and Chrome on Fedora 20 on my laptop, when I follow your instructions. I'm on Kubuntu and I got the error "Your system is missing a copy of /usr/lib/pipelight/libpipelight.so at /usr/lib/pipelight/libpipelight-silverlight5.1.so". I checked /usr/lib/pipelight and libpipelight.so existed in the same directory as libpipelight-silverlight5.1.so. Does anyone know what the problem here might be? Great success with Mint / Chrome / Chrome UA Spoofer / "Firefox 15"
Uninstall Linux and Install Windows - If you want something to actually WORK! So, What do you want me to do? Pay 100$ for a new windows copy on my computer that i built from scratch? Nope, not gunna happen. Haha, Linux works great! Your brain, unfortunately, does not! This looks good, but I'm being asked for and at the bottom of a TruType core fonts for the Web EULA. I have no idea how to signal that I have read it. I've tried clicking on it, enter, alt-enter, ctrl-enter, etc. What do I do to okay this eula? That should say "I'm being asked for an OK"
How about getting Netflix to work on a raspberry pi?? Brilliant. I hadn't heard of Pipelight! Any idea on how to get it installed on Crunchbang Waldorf ? I tried but my ancient HP laptop kicked up a hissy-fit. I got pipelight installed and the user agent switcher installed, but it just chimes up about 'ActiveX disabled...' on both firefox and on Chrome. I keep getting either error code N8109 (which is related to Silverlight) or a message that the Silverlight plugin has crashed. Anyone else encountering this issue? (Used Default User Agent with Windows Firefox 25). I tried out a Silverlight test animation here (http://bubblemark.com/) and Silverlight 2 and 3 worked, but not 1. I too would like to know why Silverlight is still required if there's an HTML5 option! There isn't an HTML5 player for Netflix yet but there is one in the making! “User Agent Overrider” works great! Thanks Inge! It worked for me, with Xubuntu and Firefox. But to make it work I had to use "User Agent Overrider" extension instead of "User Agent Switcher". Tks a lot. This worked for me as well with Linux Mint 16 and Firefox. Followed the steps and used the "User Agent Overrider" instead of the "User Agent Switcher". The switcher would complain about Active X. This solution is not easy it is simplified, ELI5. Simple solution would be to get moonlight to work and if I am not mistaken long long time ago moonlight worked. Not necesserily with netflix but as a browser plugin. This website is disappointing. I think install was ok, but Chrome complains it can't load the silverlight plugin. Why is silverlight required, isn't Netflix using HTML5 now? I'm using Linux Mint 16 and Chrome. I can view the full Silverlight demo here http://www.iis.net/media/experiencesmoothstreaming. However, on Netflix I only get audio, and no video. I'm having an issue with this. I use fedora 20 and everything went fine until i entered fullscreen mode in Netflix. The screen just turned black, I could still see the tabs in the browser and everything. But the Netflix movie was black. it was working on Chrome, but now started showing a message "ActiveX is disabled", that need to be enabled in the IE settings; what is happening here? That's very strange. Did you happen to choose IE for the user agent rather than Firefox? yes, I selected IE 8and is showing the same message, any idea? I get this error on Firefox but the plugin works correctly on Chome / Chromium when also using User Agent Switcher plugin and selecting IE9 as the user agent. I was able to get it to work with LinuxMint 16. It's not as stable as I'd really like, but it's better than watching House of Cards on the Wii. After installing User Agent Switcher I ran into problems with the Default User Agent resetting when I restarted the browser, then if Netflix detected the wrong one, it wouldn't work, even if I changed. I had to edit my ~/.mozilla/firefox/mwad0hks.default/prefs.js. I added general.useragent.override.netflix.com with the string "Mozilla/5.0 (Windows NT 6.1; WOW64; rv:15.0) Gecko/20120427 Firefox/15.0a1"
This allowed netflix to load a movie and House of Cards successfully. It isn't robust enough to turn over to my 8 year old, but it's good enough for me to execute. If only I could get it working in XBMC. I'm sorry that you're having problems with that setup. I primarily use Chrome and haven't had any issues with the extension there. Did you make sure to follow all the steps? This sounds like you installed pipelight but didn't tell pipelight to install the silverlight plugin. I try to run a video in Netflix and it asks me to install Silverlight. I think I have followed every step listed in the blog. Even changed Chrome to use Windows Firefox 15. No luck. I have Silverlight for BT Sport but it doesn't work. Any ideas? For Kubuntu ( or if you use any distro in the Ubuntu family) I personally use netflix-desktop provided by the ppa for compholio. You don't have to mess around with your Firefox, as it provides a custom wine install of Firefox that acts like a separate application that doesn't interfere with your default installation of Wine. Works well with Chromium in Xubuntu for me but I was unable to get it working in Firefox. I agree this is much prefered to the old way of watching Netflix, just getting better I hope. I wonder if this'll work on the Ordnance Survey website. They use Silverlight to enable their online maps. Sorry! I had to limit the amount of instructions that I included in the article down to just two major distributions. I know that openSUSE is often included as one of the major three distributions, but that leaves speculation for adding others that are used by approximately the same amount of people. At least the link that I included shows those instructions. Didn't work. Netflix still doesn't work. This tutorial works just about as much as any other tutorial out there. And that's it. IT DOESN'T. I love you I love you I love you for this article. Big thanks for the dev supermen who made this possible. Open Source is unstoppable, even when they try and hold freedom loving linux users down the community uses ingenuity to overcome their draconian supression!!! !